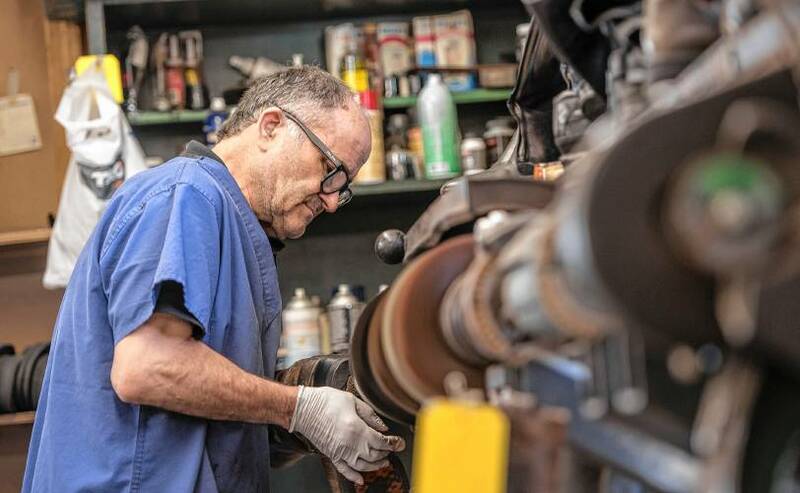 Every day, José Serrazina, known to his customers as Joe, arrives at his workshop by 6 a.m. Often, he stays as late as 6:30 p.m. At Shu-Fix, he gets about 40 customers a day. “Sometimes I don’t even have time to do the work, I’m so busy taking care of customers,” he tells me. Around him rises a pungent tang of shoe polish and leather. He’s cutting a new sole for a boot. I’m here picking up my shoes that had a broken zipper. The world, it turns out, is drowning in unwanted clothing. 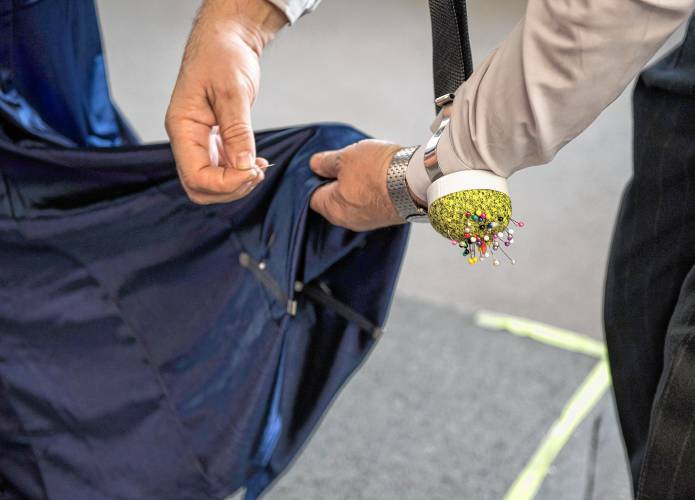 According to the Environmental Protection Agency, some 14 million tons of textiles were discarded in 2015, including clothing and shoes, making up 8 percent of all material headed for a landfill. That’s up from just 2.5 million tons in 1980. The growth in textile waste stems from consumer demand for fast fashion. This trend was identified by a UK Environmental Audit Committee report as “increased numbers of new fashion collections every year, quick turnarounds and often lower prices. Fast fashion has the benefit of providing inexpensive clothing and allowing for fun trends to quickly spread. But it comes with a host of problems. Besides producing waste, fast fashion often relies on underpaid laborers in the developing world who work in poor, sometimes horrific, conditions. The difficulty and risk of their life was tragically demonstrated in the 2013 collapse of a Bangladesh garment factory that killed more than 1,000 people. Signed by 200 companies, the 2018 Accord on Fire and Building Safety in Bangladesh has contributed to making conditions safer, but many apparel companies — including Ivanka Trump’s — have refused to sign. And wages for garment workers, while rising, have not kept up with inflation. Beyond worker conditions, the Guardian reported last year that the fashion industry now contributes more to climate change than the aeronautical and shipping industries combined. 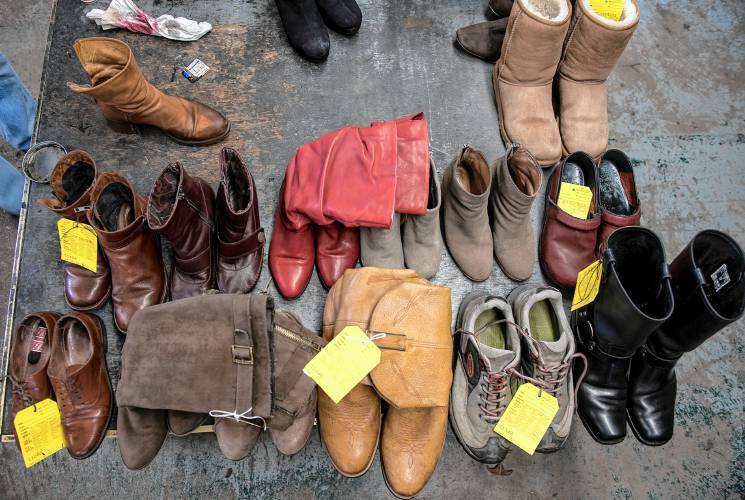 Since January of this year, thrift stores have seen a surge in donations of unwanted clothing and shoes. As of the end of February, Goodwill reported a rise of up to 20 percent in donations this year. The program has contributed to a growing idea that surplus objects in our lives can do more harm than good. Increasingly, though, people are pointing out that to truly transform life, Americans need to pare down not just how much they already have, but how much they buy in the first place. In the middle of the new trend, two shops in Northampton, right next door to one another, are ready to help people do exactly that. 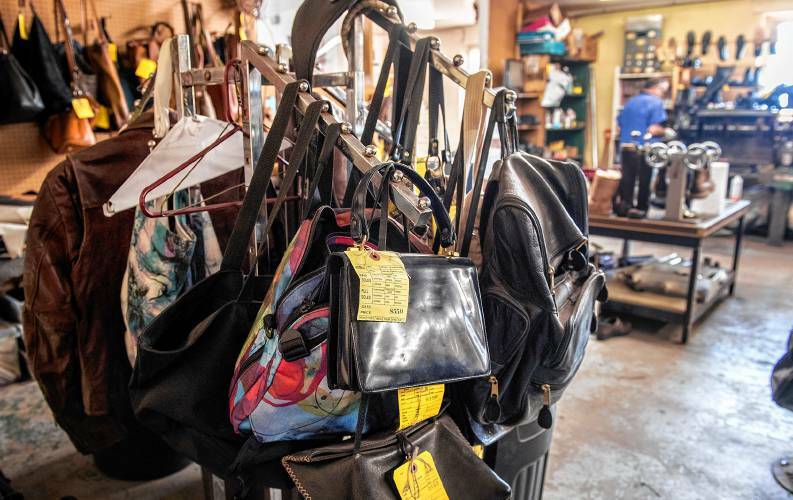 Serrazina’s one-room shop on Hawley Street serves as a hub for shoe, handbag, and backpack repair. Serrazina departed Portugal just after the 1974 revolution. Following a brief two-year return to Portugal in 1981, he’s lived in the U.S. ever since. 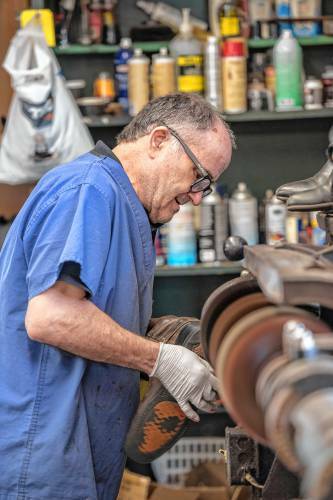 Shu-Fix has been located in Northampton for 80 years, but Serrazina bought the store in 1991. He later moved the shop from the present location of Florence Bank, to where it now sits on Hawley Street. “It was the best thing that happened, because of the parking lot,” he said. Now, customers can easily pause to drop off their shoes. Some, he says, will go have lunch in town from there. I’m picking up my favorite pair of boots after their fourth repair here. After buying them second-hand at Urban Exchange on Main Street, I’ve had their interior soles replaced, the zipper fixed on one boot, the heels refurbished, and now the second zipper replaced. 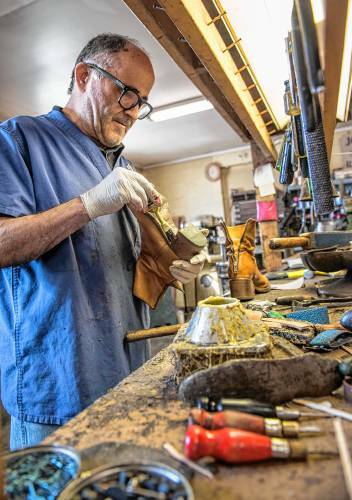 While I talk with him, Serrazina never stops working, searching his drawers for a spike, affixing it to repair the stiletto heel of a woman’s boot, polishing his handiwork. When I ask him why people should repair their shoes rather than buy new ones, Serrazina makes no mention of the environment. He sticks to the practical. “If they have a good pair of shoes, it’s worth the fix. 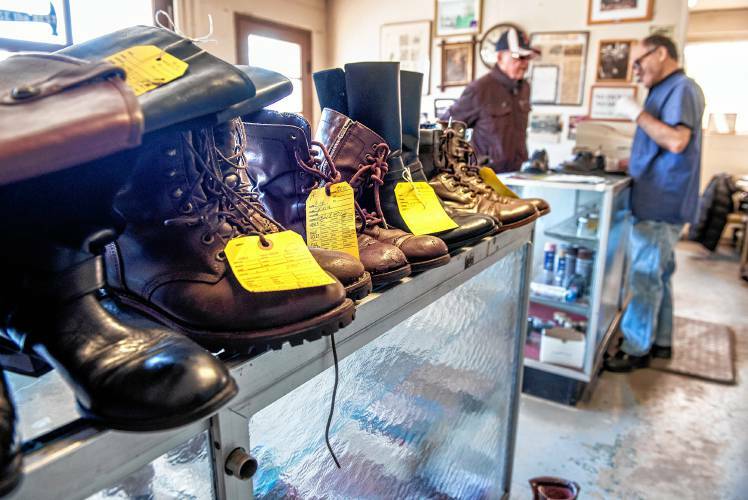 Over $150 shoes, it’s always worth the fix,” he says. Two doors down from Shu-Fix, in a small strip of one-story shops, I enter the tailoring establishment Deniz Romano. Here, I’m picking up a simple black skirt I’ve owned for as long as I can remember. I’m pretty sure it first belonged to my mom. A few years ago, I used to wear it with the hem to my knee, but I’m bored, and I’ve asked Romano to raise the hem to mid-thigh. 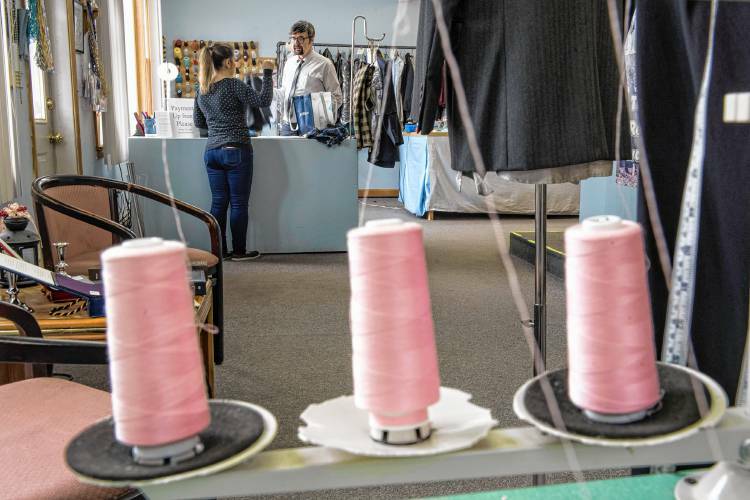 In contrast to the nearly 30 years Serrazina’s been at Shu-Fix, Ibrahim Deniz took over the tailor shop just last year, renaming it Deniz Romano. He performs alterations and repairs on leather, suits, skirts, jackets, denim, buttonholes, zippers, hems, and more. 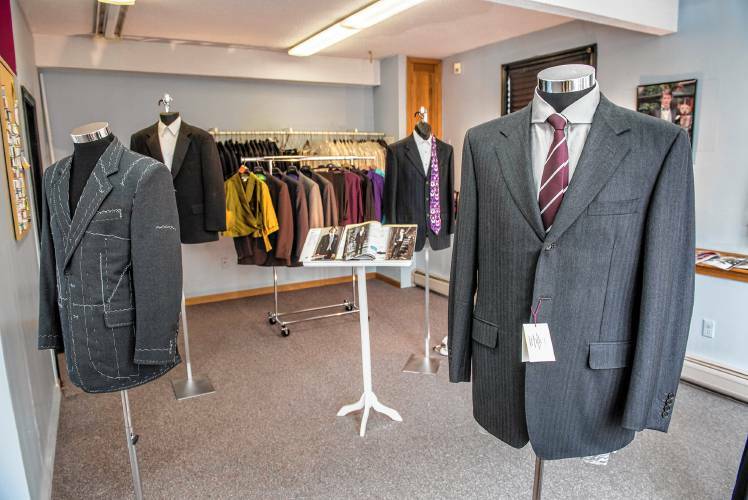 He also manages dry-cleaning, which for a small service charge he sends to a dry cleaner in Springfield. But Romano’s not just a tailor for small repairs. More than that, he’s an accomplished designer of high-end European-style clothing. He also does custom tailoring. His clothing designs for women have been featured in European editions of Burda and Anchor magazines under the name Ibrahim Deniz. After training as an apprentice in Turkey, he became a master tailor and was employed for 16 years at the tailoring department of Harrods of London. While I’m in the shop, John Silver of the nonprofit RepresentUS comes in. He’s here to shorten the hems on a pair of suit pants, and to narrow the waistline of his jacket. He says he wants bring the pants up to the style requirements of Los Angeles where he travels for business meetings. “It’s ridiculous how short they are,” he jokes, as he points out a length significantly above the ankle. Style in L.A., he says, is all about the socks. Romano’s a little surprised. The two of them negotiate the length. “I can leave some material in case you want to lengthen them later,” Romano says. “Oh, I won’t,” says Silver. But he does, he agrees, want them just a little longer than west coast style. Romano smiles. He puts in the pins. Fixing or altering textiles isn’t the only option to address fast fashion’s impact on the environment. But it’s one of the best ones. 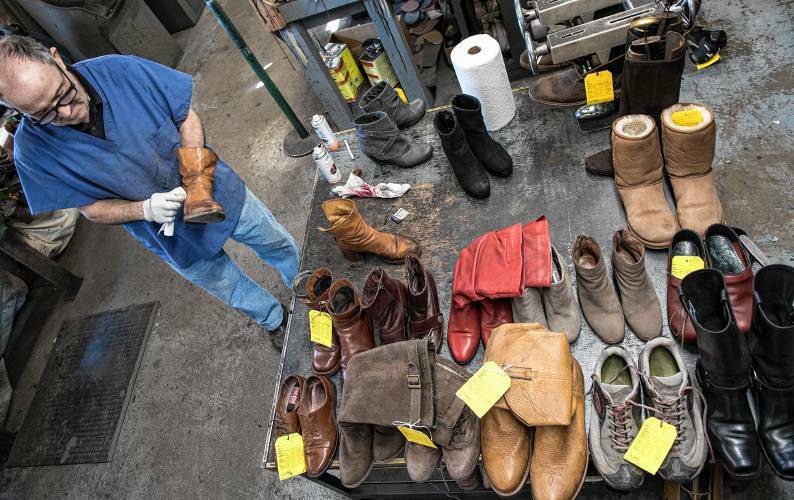 Clothes or shoes can be recycled or given to thrift stores. But recycling only goes so far. Modern dyes can be impossible to remove, meaning the fibers can’t be redyed a uniform color. Fibers are often difficult to repurpose. And some thrift stores have been receiving more donations than they can handle. Time magazine reported that some thrift stores are now placing limits on quantity and the hours when they’ll accept second-hand materials. 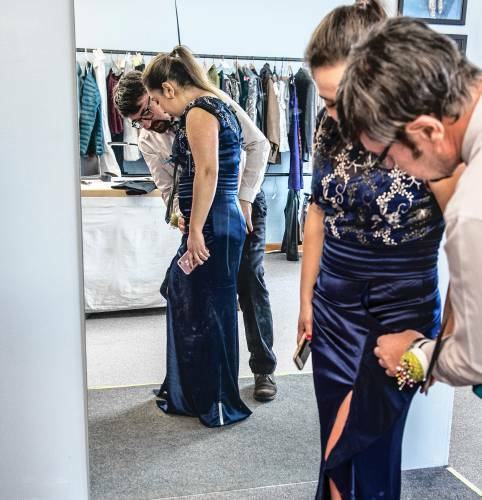 People interested in slow fashion can learn more in two books by Elizabeth Cline, “Overdressed: The Shockingly High Cost of Cheap Fashion,” and her new 2019 book, “The Conscious Closet,” where she lays out strategies for ethical style. 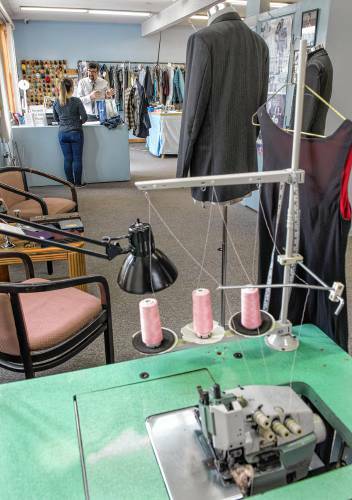 Besides Shu-Fix and Deniz Romano, a number of shops in the region do clothing repair and alteration (though Shu-Fix is the only cobbler in Northampton). I’m particularly fond of these two, though. They remind me of what’s often depicted as a bygone time. They’re my neighbors, first of all. From my home, I can walk or bike down to the strip of storefronts on Hawley Street, strolling from one to the next with a bag on my arm. Inside each store, I’m greeted with warmth and personality. Serrazina and Romano smile and laugh with me. They remember who I am. They’ve come here from far-flung parts of the globe and set up a home, and they’ve become a part of my community. They enable me to live well — both economically and sustainably. When I leave them, I feel good. And I know, too, that I’m doing my part in a movement that’s thriving and growing. Valuing materials, valuing local work and workers, valuing not just speed and convenience but the quality of the fabric of life.